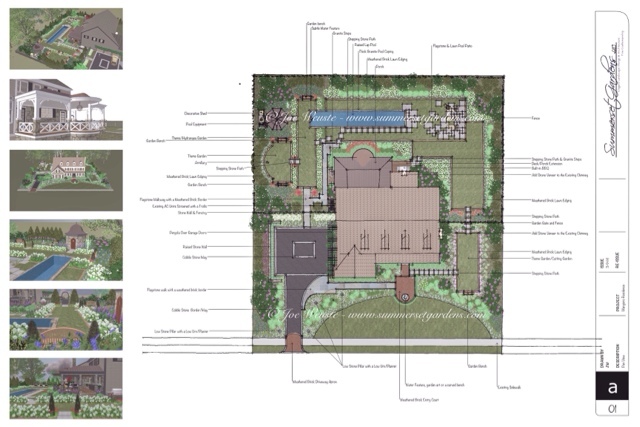 I just completed this master plan for a client. I set up a series of outdoor rooms that double as individual theme gardens. A lap pool that doubles as a water feature / reflecting pool. Porch, walkways, fencing, walls etc.